Bad, ugly or good job interview answers may depend on how well you understand the job interview process. A part of learning your basic employee rights involves the first step…getting the job! Applied knowledge should lead to wisdom. Walking into a manager’s office not knowing the job interview how to is certainly not wise. Hello I’m Yancey and I have always found job interview questions to be challenging, idiotic, intriguing, stupid, thought provoking, incompetent, relevant, discriminatory, creative, irrelevant and… well you get the picture. 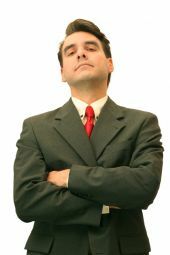 In over 30 years of employment I have encountered many different managers, supervisors, interviewers and company owners. The one thing that has been consistent is the inconsistency of job interview questions. Job seekers should understand that the person doing the interview may not be the sharpest knife in the drawer. He or she may not have been adequately trained. That is one reason learning to give good job interview answers is so important. The questions asked at job interviews often hide what the job interviewer really wants or needs to know! One of the things in the job interview process for the applicant involves discovering what that is. As a job seeker ask yourself why am I being asked these employee interview questions? For example the interviewer asks, “Do you have problems working with different types of people?” From my experience here is what the job interviewer was really asking. “Have you had trouble dealing with different racial groups?”. Job seekers need good job interview help before the job interview to have successful job interviews. When looking for employment learn all you can about the potential employer. Here are some quick job interview tips. Oh and by the way…BE ON TIME! 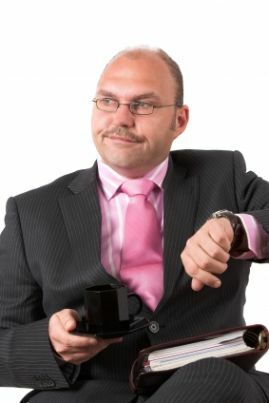 It’s amazing how many people believe they can show up late for job interviews and think it will not hurt them. Giving good job interview answers to job interview questions requires knowing what some of the most common job interview questions are. As I mentioned earlier what is the true need of the interviewer or employer? Here are some sample job interview answers with sample job interview questions. What would you like to tell me about yourself? Ah…if only I had a million dollars for every time I have heard this in a job interview. This classic question can cause you all kinds of problems upfront. Some job applicants find themselves going down rabbit trails like personal issues and irrelevant work history. Stay Focused! Show the interviewer why your qualifications are a good fit solution for the needs of the position. Explain the time gap between your last job and now. One of the best tips for a job interview is to BE HONEST. If there has been a significant period of time since you last worked be prepared to give an answer. Things like going back to school to prepare for this job, volunteer work, personal projects or actively seeking employment are good examples. What were your job duties in the last job? Always describe in detail and link those former duties with the new position. This shows you are qualified for the current position. Remember to be honest and not lay it on thick about your qualifications. Tell me about your strengths. Have specific examples prepared that address the requirements of the position you are applying for. Don’t give the perception of thinking you are “all that and a bag of chips.” Be confident without sounding arrogant. Tell me about your weaknesses. An inappropriate answer might blow your opportunity for the job. Again, stay focused on the requirements of the job applied for. A statement about your confidence of handling situations directly related to the essential functions of the position addresses the needs of the job interviewer. Will you travel or relocate? You might not get the job with a “no” answer. I would answer with a “with not?”. That way I keep myself in position for the job while other opportunities way surface later. This is another one of my favorites. Personally, I think it is idiotic however; many employers place a lot of importance on this question. They use it to judge whether this job is just a stepping-stone and measure your level of commitment to it. It is like guaranteeing the future. Who knows where they will be in five years. Again, stay focused on the qualifications you have for the job and your willingness to stay. Why did you get fired? The important thing to remember is BE HONEST. You should have a prepared answer in advance of the job interview. Ms. Kennedy advises, “Practice in advance what you will say. Then keep it brief, keep it honest and keep it moving”. Stay focused on talking about your skills that qualify you for this job. I have had interviewers ask this question very early in the job interview. Some do this before you have had an opportunity to sell yourself as the one they need for the job. If the interviewer has reviewed your resume and job application she may be wondering if the company can afford you. Never bring up salary, let the one interviewing you bring it up first. Be honest about what you earn in your current job. Do the research in your job interview preparation on the company and market to get an idea of the salary range for the position. Decide before the job interview what salary you will accept. You don’t want to accept a job for what could be far less than the company is willing to pay. You don’t want to miss the job opportunity by expecting more salary than the company feels it or you are worth. That’s why it is important to do the research to maximize your qualifications in addressing the employer’s needs. This is another one of my favorites. I told the interviewer who was also the department director, “My goal is to end up on a beach in Tahiti”. After I was hired, the director told me that was the most honest answer he had heard in all the interviews for the position. I’m not recommending you respond with an answer like that. That answer could have just as easily backfired on me. But, I remained focused on showing why my qualifications were the best match for the position based on my knowledge and experience. Many employers put heavy emphasis on setting goals. So be prepared to demonstrate your goals for your job, life, family, etc. Remember to keep the focus on how your goals show you to be an asset for the needs of the interviewer. Did you like working with your manager? This question could also be “Do you like working with your present manager?” The interviewer wants to know how well you work with others. He may also want to know if you will speak negatively about former employers. I have found it is best to talk about positive contributions supervisors and managers have made in my professional development that helped me to be successful. Why do you want to quit your present job? This question could also be “Why did you quit your last job?” If you were fired refer to the my suggestions above. If you quit on your own stay away from negative comments about the management or owner of the company. The best good job interview answer to give if you were laid off is to simply say so. I have been laid off before and had no problem telling the job interviewer. I demonstrated that while I was employed I excelled in my position. Employees have little or no control over getting laid off and employers understand this. Here are some other possible answers to prepare and practice before the job interview. These are samples of good job interview answers. To give good job interview answers requires learning more about the company and the issues that may be of concern to the job interviewer beforehand. However, you can never know all the things that may be asked in a job interview to give good job interview answers without continuing to learn your workplace rights. Many job seekers including myself have even been asked illegal job interview questions. Follow this link to learn more about how illegal interview questions may hurt your chances of getting the job. My new sites provides the MOST current changes affecting career seekers and employees. Some employers are constantly working to take away the rights of employees. Follow this link to EMPLOYEE RIGHTS GUIDE and EMPLOYEE WORKPLACE RIGHTS for the latest employee news you can use!